In fact, medical experts say, there are no osteopenia symptoms—so how can you tell whether you're experiencing early bone loss? Before normal bone density (top circle) gets to the point of osteoporosis (bottom), osteopenia sets the stage. While there are no osteopenia symptoms, certain risk factors may lead you to take a bone density scan. Certain factors, however, can make you vulnerable to osteopenia, meaning that it’s important to preserve your bone density. Specifically, you’re at greater risk for osteopenia if your diet is poor or if you have an eating disorder. In either case, you likely aren’t consuming the necessary nutrients to support bone health. 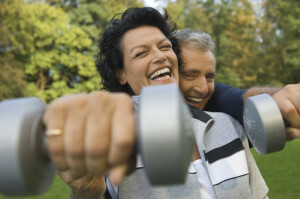 Lack of exercise also raises your risk, as does a family history of osteoporosis. You also are more vulnerable to osteopenia if you’re taking long-term corticosteroid medications like those used to treat rheumatoid arthritis and asthma (for example, prednisone) or if you regularly take certain corticosteroids and proton-pump inhibitors, or PPIs (which are used to manage gastroesophageal reflux disease). Osteopenia is a term used to describe low bone density that’s not severe enough to be diagnosed as osteoporosis. With osteoporosis, symptoms may turn up that tell you you’re at risk for fractured or broken bones. With osteopenia, symptoms typically don’t turn up to warn you. In the absence of osteopenia symptoms, a bone density scan is necessary to diagnose osteopenia. (The procedure also will diagnose osteoporosis -2.5 and osteoporosis -3.0.) How does a bone density scan work? It’s a special type of x-ray that measures—as the name suggests—just how dense your bones are. During a scan, physicians will focus on specific areas of the body—the spinal vertebrae, hips, and wrist area—that are more likely to develop osteoporosis. A bone density scan reports what’s called a T-score, which compares your bone density to that of a healthy adult at the age of peak bone mass (about age 30). A T-score between -1.0 and -2.5 indicates osteopenia. 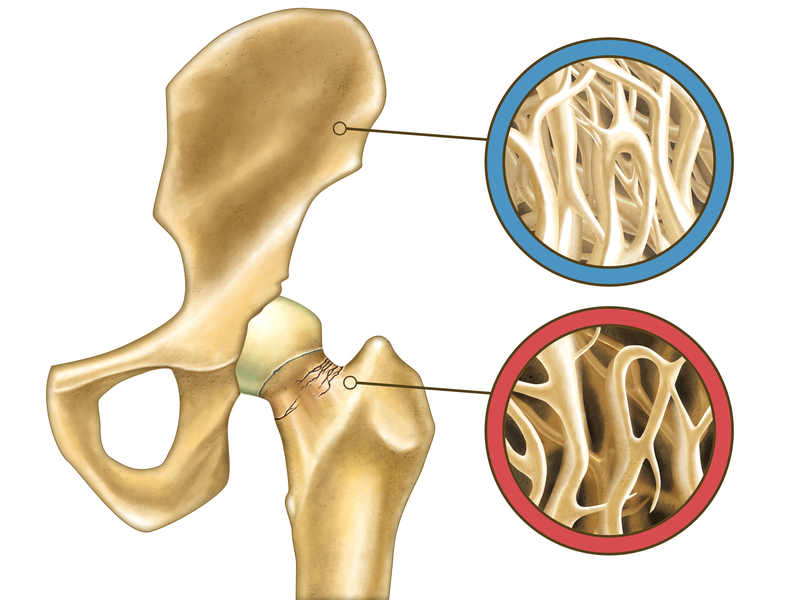 Both osteopenia and osteoporosis represent a continuum in the process of natural bone loss that occurs in all women after menopause—and also in many older men—as existing bone cells are broken down (called “resorption”) faster than new bone is made. One routine that helps bone strength: physical activity that includes weight-lifting. You also should discuss with your doctor the pros and cons of starting an anti-resorptive medication like alendronate (Fosamax) or ibandronate (Boniva)—generally recommended if your T-score is nudging close to osteoporosis -2.5 or if you have a major risk factor for developing osteoporosis in the next few years. after menopause, alcohol, arthritis, asthma, bone, bone density, bone density scan, bone fracture, bone health, bone loss, bone mass, bone strength, calcium, cancer, chemotherapy, corticosteroids, dairy, diet, exercise, gastroesophageal reflux, gastroesophageal reflux disease, health, history of osteoporosis, low bone density, low fat dairy, nutrients, osteopenia, osteopenia and osteoporosis, osteopenia symptoms, osteoporosis, osteoporosis -2.5, osteoporosis 3, osteoporosis symptoms, peak bone mass, physical activity, ppis, radiation, reflux, rheumatoid, rheumatoid arthritis, smoking, strength, t score, the menopause, vitamin, vitamin d, what is osteopenia, your bones.